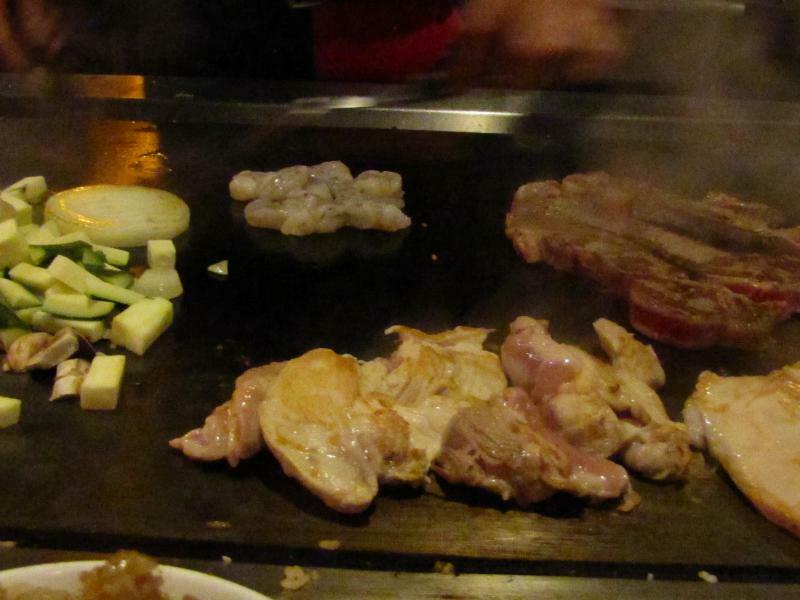 Last night Sher and I went to a Japanese Steak House named Kyoto in Everett, Washington. Our daughter and son-in-law and grandson were with us on this fun dining trip. The chef came to the table with the built in grill. Our chef was really a treat and he enjoyed taking to us as he cooked. This place is stuck in the end of a strip mall building across the street from the big Everett Mall. It is worth seeking out. We would give this place a five star rating on both the service and the quaity of the meals.